Welcome to our vintage fairs section. This is a haven of all things old!Ashbourne is one of our many venues. It is a fantastic Hall set in a busy town centre. 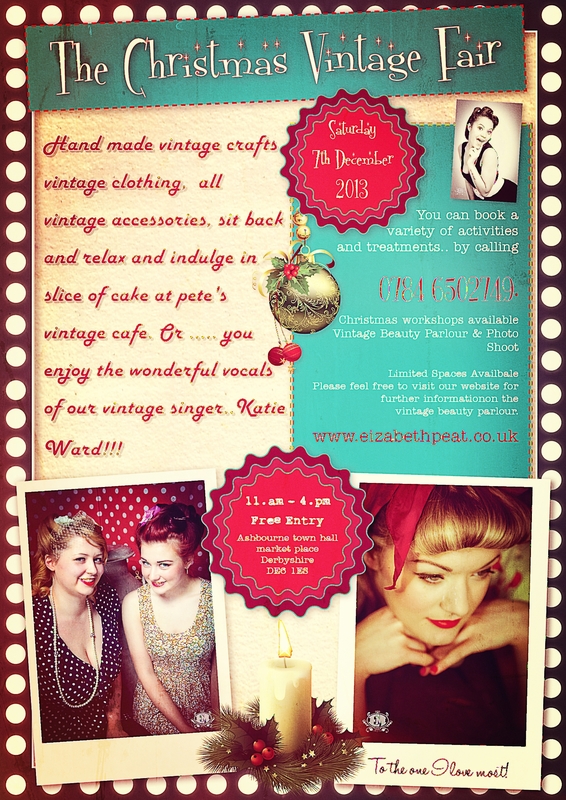 Our Event will be set in their large ballroom where you will find many stall’s selling hand-made jewellery, vintage crafts, accessories, vintage clothing and a decorations workshop, or visit the pop up vintage beauty parlour where you can get a full vintage make over. We will also have a photographer wating for you to have a vintage photoshoot! When all gets too much sit and relax with slice of cake in Pete’s vintage pop up tea room and just watch old-times roll! If you fancy setting your own period stall up selling accessories or maybe you have something new and interesting that hasn’t been tried before, then contact us and we can arrange for you to hold your own stall at our next event.